I wanted to write a post about making do with what you have. What I am referring to is needing something at home that you don’t have. Maybe the weather is bad and you can’t get to the store to make that special meal you had in mind. Maybe you need some laundry soap and have run out. Maybe you need a cup of milk for a recipe and realize you only have a splash left in your milk jug. Or did you forget to buy that whatever and find you need it now with no way to get it? I think you see my point. You need something you don’t have so what do you do? My husband has a saying he likes to repeat to me. 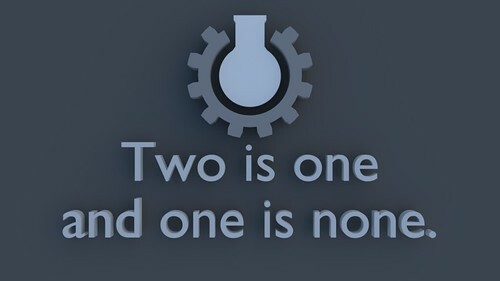 Two is one and one is none. You may have heard this phrase before as it is all about being prepared and planning. Are you ready for that next big snow storm, power outage, or SHTF situation. Plan, be prepared and ready for whatever maybe coming. Learn to improvise and have a stocked pantry and a contingency plan. If you don’t have that certain something, how can you get by without it or substitute something else in its place? Let’s see how we can work through these issues. In the case of no laundry soap, how about using a homemade mix of baking soda and borax or even some cheap shampoo would work. In the case of a missing food ingredient, why not have some dehydrated or powdered milk that you can substitute. Go shopping in your pantry and see what you have on hand that you can use. I love the idea “shopping” in my pantry. This is where the two is one and one is none really pays off. Buy things when they are on sale so you have extra items in your pantry. It is always very rewarding to go into my pantry and pick up that extra item that I need without the worry of running to the store or going without. Making do with what you have doesn’t necessarily mean going without. Plan ahead and be prepared. This is the key so go forth and be ready!